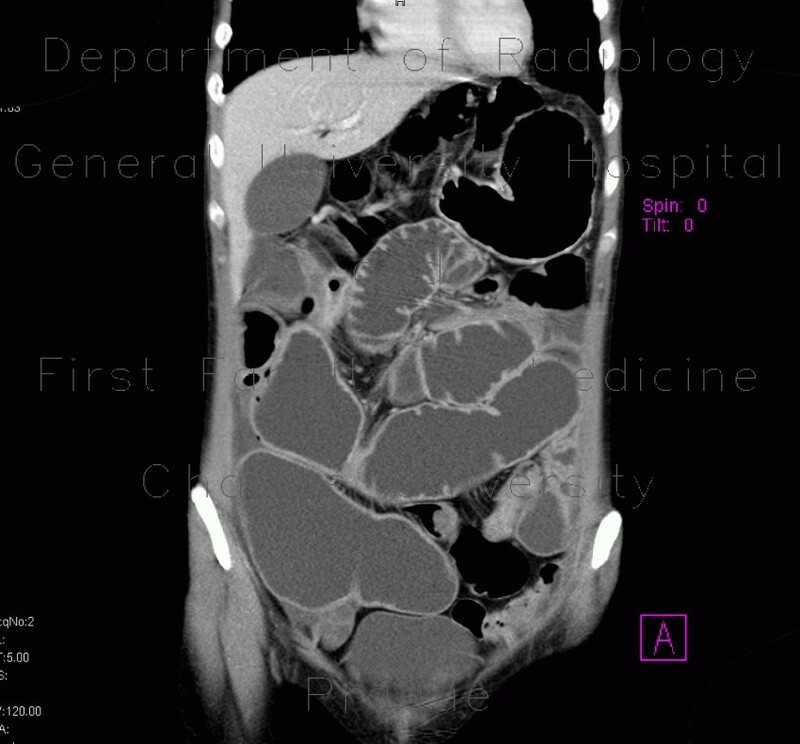 Patient with Crohn's disease had several strictures and signs of prestenotic dilatation at baseline CT enteroclysis examination. After three years, he developed rupture of the small intestine, which was treated with acute surgery. Follow-up examination shows persistent stenotic segments with chronic prestenotic dilatation.